Previous groundwater studies had been completed for the Western Cataraqui Region and the United Counties of Leeds and Grenville. 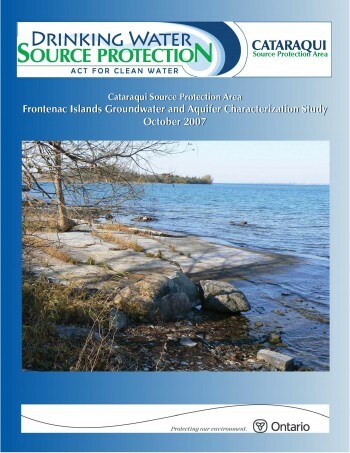 In order to fill a knowledge gap, the Cataraqui Region Conservation Authority prepared the Frontenac Islands Groundwater and Aquifer Characterization Study to summarize local geology and groundwater conditions, assess the groundwater use, and identify data gaps. The study was completed in October, 2007 and was used as a technical resource reference document during the development of the Cataraqui Source Protection Plan.